I'm specifically looking at the two as inactive ingredients in the drug lamotrigine. How do the povidone K values differ chemically and/or in the context of lamotrigine? They're obviously designed to be completely inert, but is there any chance they're acting differently in the body? 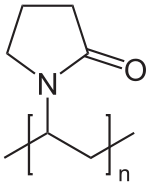 Firstly, Povidone (polyvinylpyrrolidone, PVP) is a synthetic polymer used in the pharmaceutical industry as vehicle for dispersing and suspending drugs. These different chemical characteristics offer a variety of uses in pharmaceutical formulations, including as a binder for tablets and capsules, a film former for ophthalmic solutions, to aid in flavoring liquids and chewable tablets, and as an adhesive for transdermal systems. These also affect the formulation processes during tablet manufacturing for example, the low viscosity and high adhesive properties of K29/32 make it highly efficient as a binder for wet granulation. On the other hand, K30 has the ability to complexate with the active ingredient providing taste masking and solubilization. 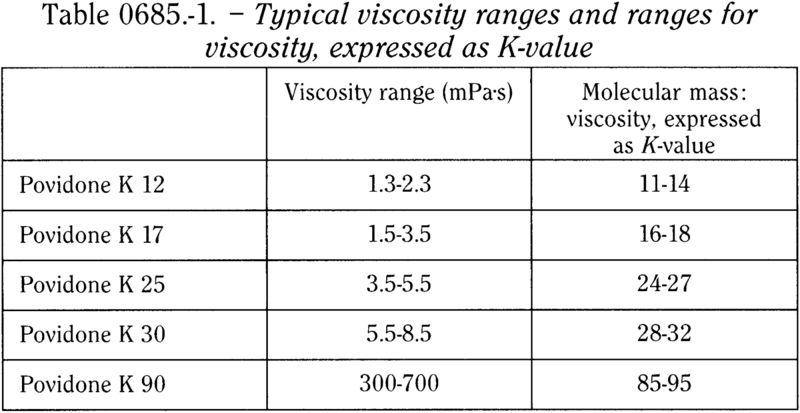 The grade of povidone that is selected depends mainly on its molecular weight, as this dictates the viscosity, binding effect, the complexation capacity and how readily it is eliminated by the body.